The body of a Philadelphia man who went missing while scuba diving off the coast in Massachusetts on Wednesday afternoon has been recovered, officials said. The 47-year-old was not immediately identified pending notification of his family, according to the Associated Press. Authorities said the man was reported missing around 5 p.m. Wednesday when a companion came to the surface and realized that he couldn't locate his friend. The pair had reportedly been diving about 150 yards off shore in Rockport, about 30 miles north of Boston. The man's body was found around 8:30 a.m. Thursday. 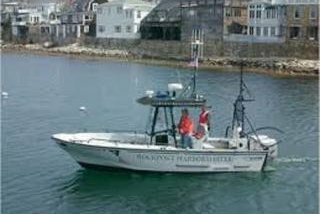 Search efforts were led by the Rockport Harbormaster, the fire department, the U.S. Coast Guard and state and regional dive teams.